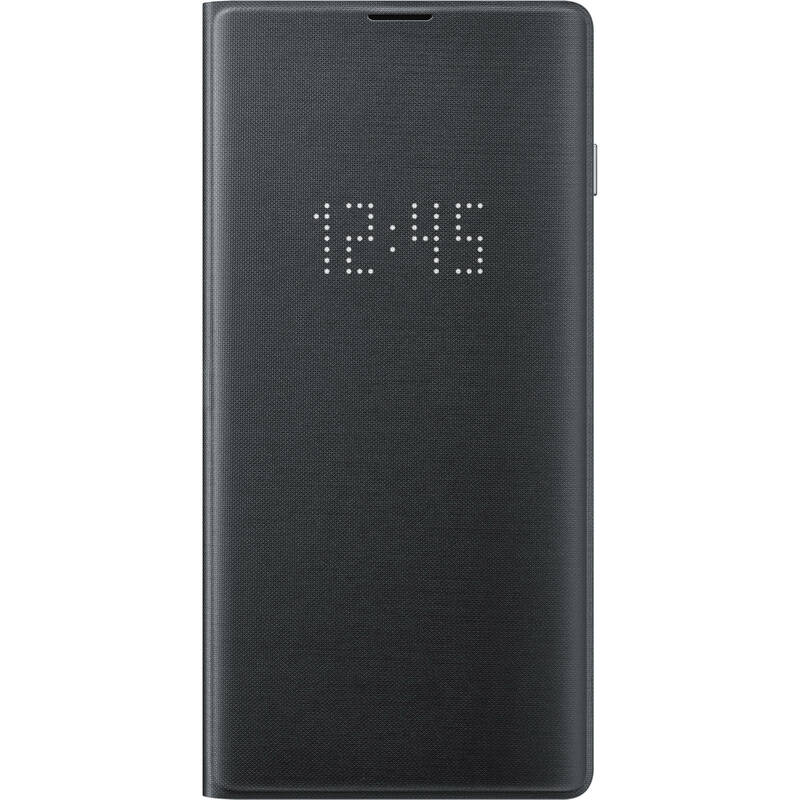 The black LED Wallet Cover for Galaxy S10 from Samsung features a folio-wallet hybrid case design that keeps your Galaxy smartphone safe and interactive with its LED display cover. The cover displays phone information, including time, notifications, and more. Respond to incoming calls or alarms by swiping across the cover. Store credit cards and IDs within this case's interior card pocket. Moreover, the case is constructed to protect your Galaxy S10 on all sides while its precision cutouts give you complete access to your buttons and ports. The outside cover's LEDs let you know when there's an incoming call, or when an alarm goes off. You can respond and control these notifications by swiping the case itself. You can even assign custom icons to your contacts for a fun spin on caller ID. The interior of the cover features a built-in card pocket. Use it for IDs, credit cards, transit cards, or anything you need to keep at hand. Box Dimensions (LxWxH) 9.1 x 5.4 x 5.1"
LED Wallet Cover for Galaxy S10 (Black) is rated 2.7 out of 5 by 3. Rated 2 out of 5 by Donthavenicknam from Could be better Cover scratches easily. Phone will not charge through case on pad charger. Difficult to remove phone from case once installed. Rated 1 out of 5 by Callie10 from Don't buy I used this case when I got my phone and it didn't last a week til the LED features stopped working. Rated 5 out of 5 by Texazboy from Very nice case! We've been using these on two different S10 phones for a month and they are great. No issues at all with the LED function. No idea what the other reviewer meant by "scratches easily" and yes, they hold the phone nice and tightly which is a good thing if you were to drop your phone - wouldn't want the case to pop off easily.